Thanks to the kindness of the nice people at Hasbro our family was able to enjoy a fun Star Wars themed Family Movie Night watching The Force Awakens the weekend before it was released on Blu-ray and DVD. We found a mysterious box on our front porch on April 1st with a big Star Wars logo on the front. It wasn't a joke though but rather the Blu-ray/DVD/DigitalHD movie bundle for Star Wars Episode VII: The Force Awakens a few days before the film's official April 5, 2016 release on Blu-ray and DVD. 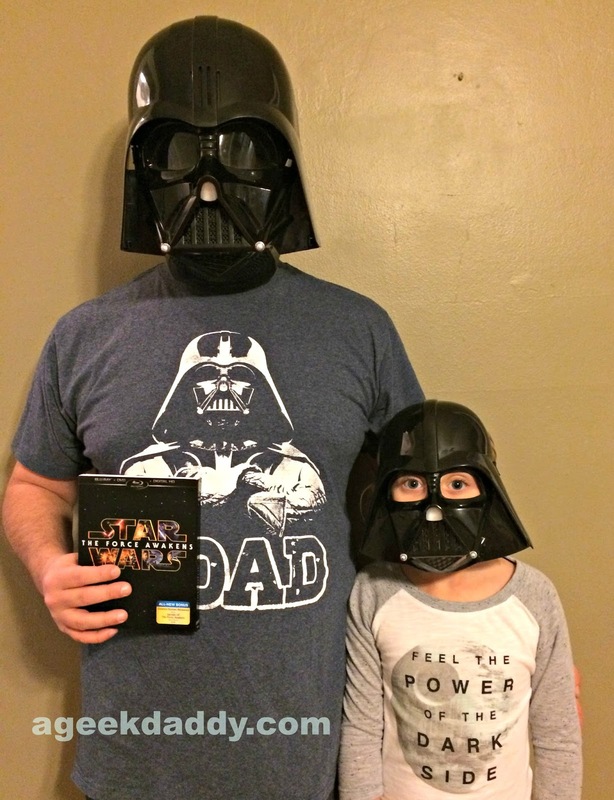 In addition to receiving The Force Awakens to enjoy, the box was also filled with a variety of Star Wars goodies to help make our Family Movie Night extra special. 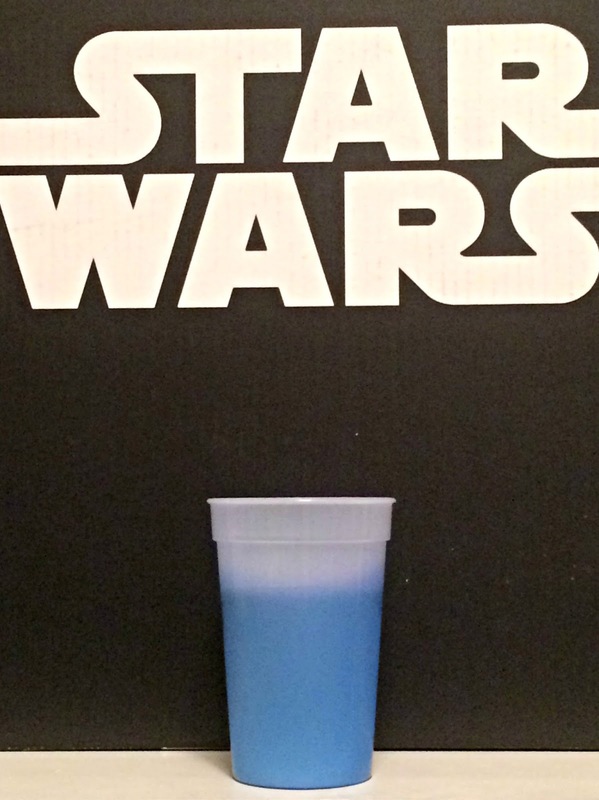 Hasbro Star Wars toys are a great way to re-enact favorite scenes from the Star Wars saga of movies. My son practiced his dueling skills with a light up Bladebuilders Kylo Ren lightsaber during The Force Awakens battle sequences while my daughter held tight to a giant Rey action figure throughout the show. The two of them have also had fun imagining up new adventures for BB-8, Finn, Rey and Maz Kanata with the Takodana Encounter 3.75 Inch Multipack that we also received in our Star Wars gift pack from Hasbro. 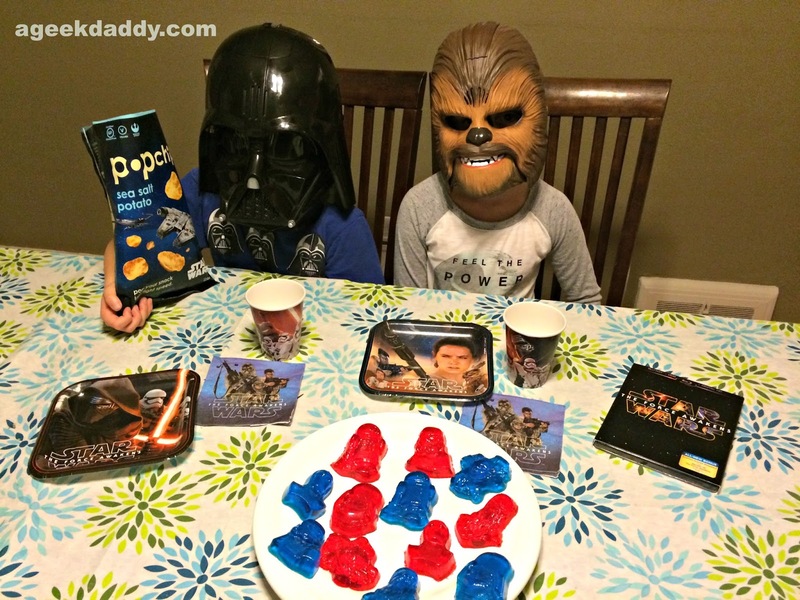 We always like to include some themed activities to our Family Movie Night entertainment. We started off the evening with a target shooting competition using a Star Wars NERF Episode VII First Order Stormtrooper Deluxe Blaster. I'd like to brag that I won this competition hands down but I'm also honest and have to say my wife took first place with my son doing pretty well too but I did hit more targets than my little girl did to avoid last place. Of course she schooled me in the next competition of the night which was several rounds of R2D2 Bop It. I have to say my daughter really loves that game! What a fun package! They really thought of everything! It makes me want to start at the beginning and binge watch all the Star Wars movies to get ready for the new release. Looks like a fun movie night. I need to rewatch the older Star Wars movies at some point, too. Wow! How I wish we can receive such kind of boxes too here at our place. 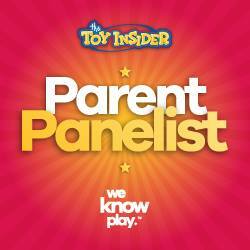 My kids will surely freak out! That sounds like fun! 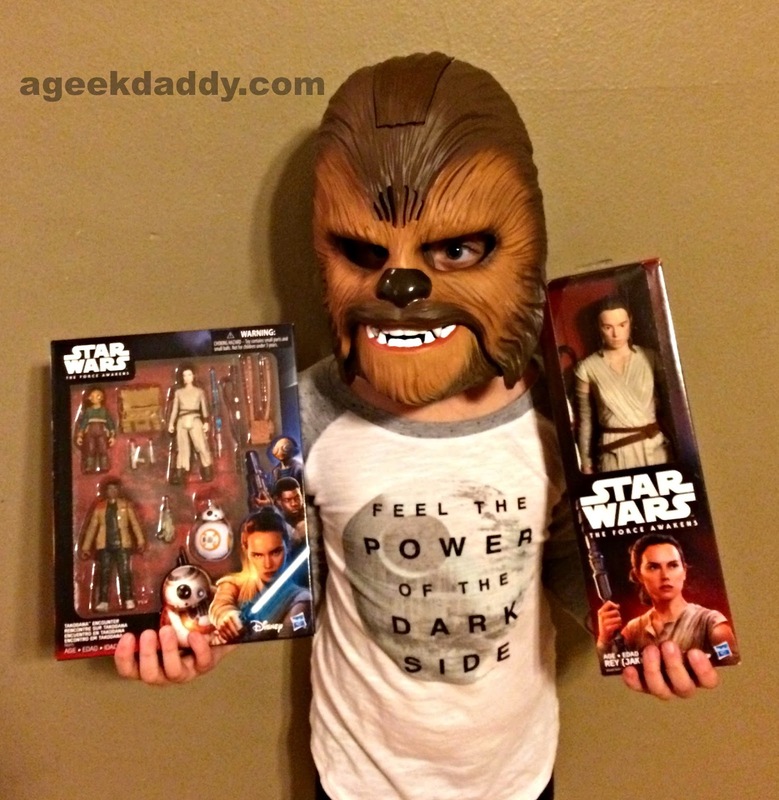 We are big Star Wars geeks here, too. What great box of goodies you got for the kids to enjoy. Looks like the kids really loved everything that came in that box. How fun. What awesome box of cool stuff. The geek in me is totally tripping. Also love your little band of Jedi's and friends. Those pictures are adorable! 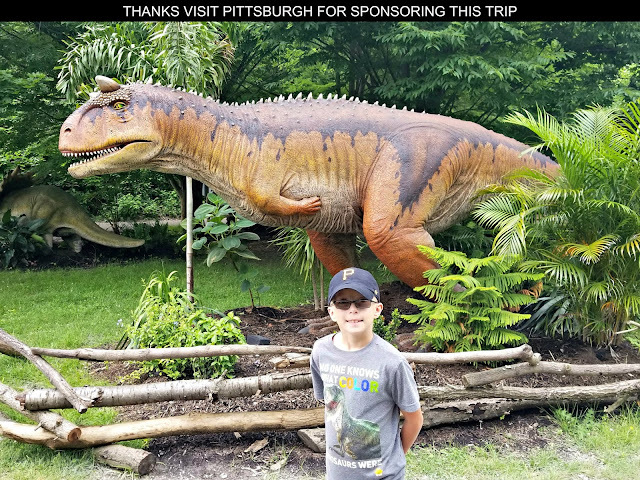 It looks like everyone had a blast! Wow! What a great, fun movie night :) The matching toys can make any movie more involving! My kids would have flipped to see that big box of awesome! Great movie! 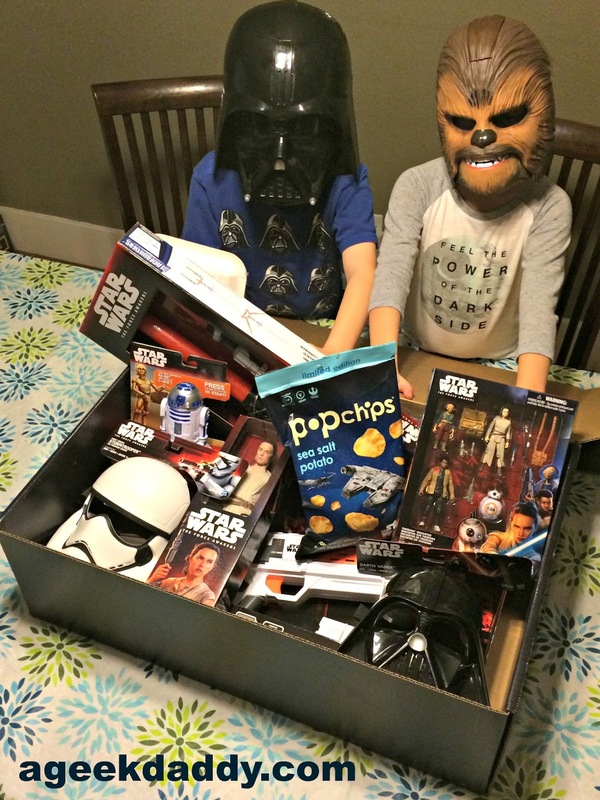 My boys would flip out to get a box of Star Wars goodies! May the force be with you! Now this is a fun family movie night. I love the masks. I really enjoyed this movie. What a fun family movie night!! We love Star Wars so my kids would love something like this! What a great movie night! 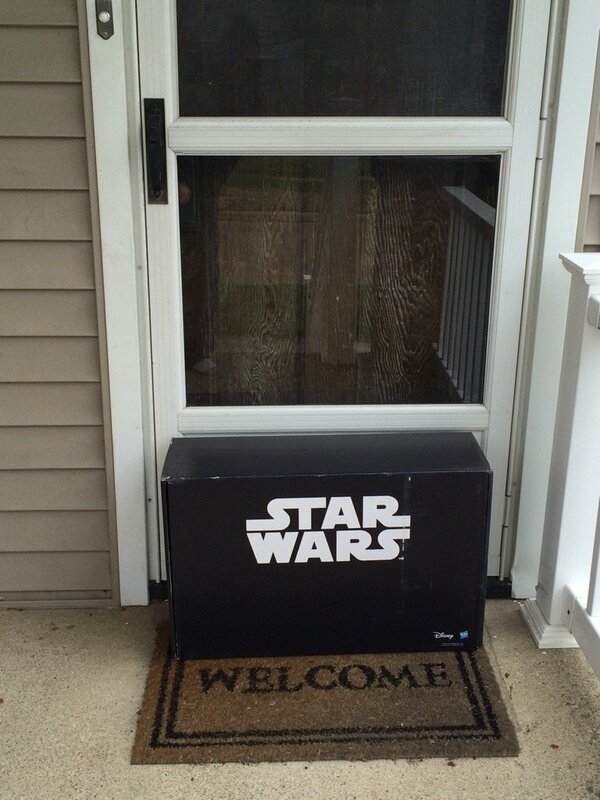 My son is into Star Wars, so he would just die if a box with all that awesome star wars loot arrived! Now my boys would have been totally amazed once they got this box. We watched the movie quite a few times and actually watched it just a few days ago as well. Hubby is a HUGE Star Wars fan. Loved the movie! My son would love those goodies! Such a great surprise! Oh! Wow! What a great movie night- one of our favorite movies - and those snacks looked delicious. Your posts always make me so jealous!